Making energy from food waste and reducing the odor of manure with one device might sound like science fiction, but research in engineering technology is making it a possibility with a structure called an anaerobic digester. 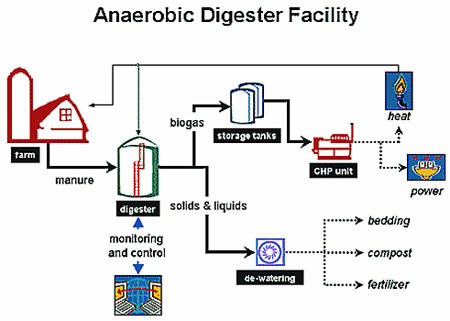 An anaerobic digester is a gas-tight vessel inside which microbes convert organic matter – manure and food waste, for example – into biogas that can be turned into electrical energy. For small dairy farmers, anaerobic digesters could be the sustainable energy technology to revolutionize manure management while cutting down farm energy expenditures. 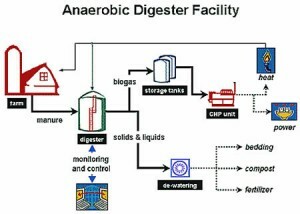 Anaerobic digestion is a controlled process that takes place in an oxygen-free environment, where microbe species decompose the organic matter in manure, food waste, or plant matter into a nutrient-rich liquid (which is called effluent) and a mix of gases called biogas. 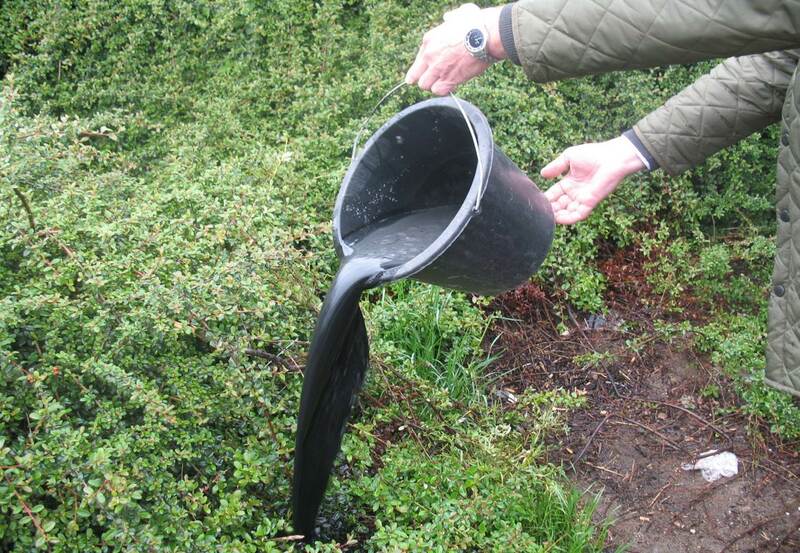 The resulting liquid effluent can be used as a less odorous soil amendment than manure, while still providing the same nutrients as manure to the soil; the resulting biogas is a mixture of carbon dioxide, methane, and trace gases. The composition of the biogas differs based on the particular microbial species used in the digester, as well as the substrate the microbes are feeding on. Different levels of different gasses would be produced by a dairy farm’s anaerobic digester inputting mostly manure than a composting facility’s anaerobic digester inputting mostly food waste. The digester, the air-tight vessel that contains the anaerobic digestion process, can be thought of like a concrete rumen that ferments and ‘digests’ organic matter into a more useful form. There are two types of anaerobic digesters well-suited for small farmers in New York and the Northeast. The first is called a plug-flow system, which is the simpler of the two, and the other is a mixed system. In a plug-flow set-up, there are no moving parts. The digester tank is divided into sections that get filled with manure, always added from the same end. Each addition pushes material through the system, where it eventually comes out on the opposite side as effluent. The plug flow system is relatively inexpensive in terms of equipment, maintenance, and operation, but it is well suited for raw manure only. A mixed system, on the other hand, has moving parts for stirring and mixing influent as it is digested and can process a wider variety of substrates, even plant material, into biogas for electrical energy. A farmer could feed a mixed system with post-harvest plant material or leftover compost, as well as manure and food waste. The target temperature for anaerobic digestion for most New York State facilities is 100 degrees Fahrenheit, and there are a few ways to achieve this heating. One way is to design the digester tank with a series of stainless steel vessels throughout. Warm water is pumped through the vessels to heat the material in the digester and facilitate the work of the microbes. Other common heating mechanisms include exterior heat exchangers and hot water boilers that heat the material before it enters the mixing compartment of the digester. How efficient a digester is at producing biogas is dependent on the ability of the system to maintain a consistent temperature. In New York, this poses the issue of heating costs in the winter and ventilation costs in the summer. How long does biogas production take? The anaerobic digester Hydraulic Retention Time, or HRT, refers to how long the digestate material remains in the vessel. For a plug flow system operating at 100 degrees Fahrenheit, the HRT is 21 days. The HRT tends to be lower for mixed systems. Vernon Hoover, an electrical engineer near Penn Yan, New York, partnered with his neighbor, a dairy farmer with a 60-head herd, to create a unique small-scale anaerobic digester 100% manure-fed. The plug-flow digester is heated by tubing in the floor, or bottom, of the tub-shaped vessel, instead of the walls, and is insulated with Styrofoam-like material. After experiencing some issues with pipes freezing in the winter, Hoover now submerges some pipes in 5-gallon buckets of warm water to prevent such freezing. Insulated water pipes run throughout the inside of the digester to heat the material. The conversion to electrical energy takes place through a modified propane carburetor engine. It takes 3-4 weeks to fill the digester, then it has a subsequent 23-25 day HRT. Three mechanical agitators in the digester’s belly keep the solids from collecting. At the system’s peak run-time in 2013, Hoover was able to use the digester to generate 58% of his home’s energy usage at 74% run-time of the digester, the anaerobic digester-powered engine averaging production of about 6kW per hour. Adding food waste to raw manure increases the biogas production of an anaerobic digester, as does adding plant matter. You get 8 times more biogas from a system digesting silage than manure because manure has been stripped of some of its organic matter energy potential by the cow that produced it. Baking wastes, waste grease, food waste, and brewer’s grain silage are among the substances whose processing yields some of the highest potential biogas yields. While on-farm co-digestion of manure and food waste together is currently allowed with the proper permits in New York State, human waste processing is not. How much electrical energy a digester system produces is highly dependent on the efficiency of the system’s engine. An electrical generator is the final piece of the anaerobic digester system puzzle, and represents the biggest challenge for small farmers because big generators are more efficient than small ones. 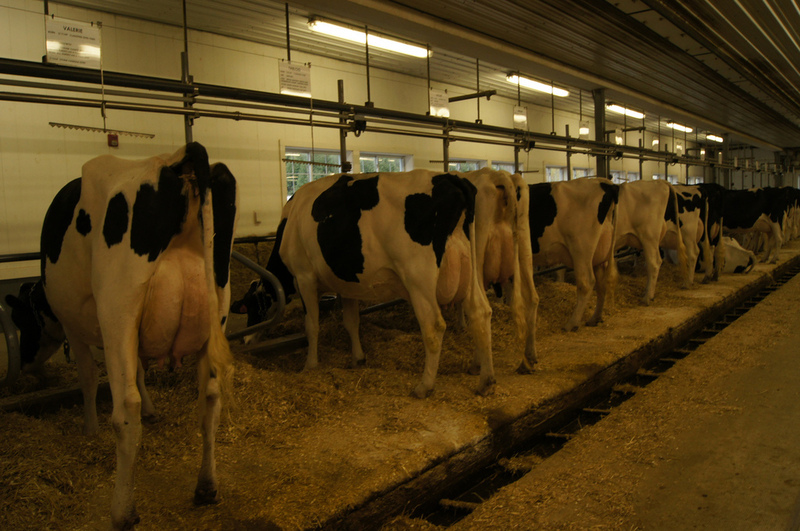 Managing the conversion of biogas to electrical energy efficiently on small farms is currently a topic of research at Cornell University’s Dairy Environmental Management Program. 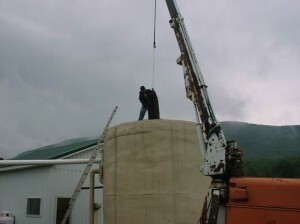 Since anaerobic digesters work best on a large scale, one creative solution to this challenge for small farms is an integrated, cooperative model in which one or a few anaerobic digesters could be utilized by a group of small farmers, thus allowing the farmers to pool their capital resources to build a large enough digester that engine generator efficiency would not be an issue. The community energy model has been successfully implemented in parts of Europe, reducing the amount of time it takes to fill the digester and eliminating the need for a small, custom-made electrical generator. Norman Scott, a Professor Emeritus at Cornell University who has been involved in bioengineering research for several years, has seen the equipment for anaerobic digestion take many forms. In Brazil, farmers constructed a swimming pool-like structure out of slate stone as the digestion vessel. The University of Minnesota bioengineers created digester tubing that contains the microbes and digestate. There is also a need to draw more public attention to the benefits of anaerobic digesters, particularly for dairy farmers, who could enjoy less odorous manure amendments, decreased energy and bedding costs, all while reducing greenhouse gasses. Abigail Woughter served as Cornell Small Farms Program summer intern in 2013. She is an undergraduate student studying agricultural sciences. Digesters have small and large producers. They are designed to be placed without installation and very simple. just need a level floor. sending photos upon request.